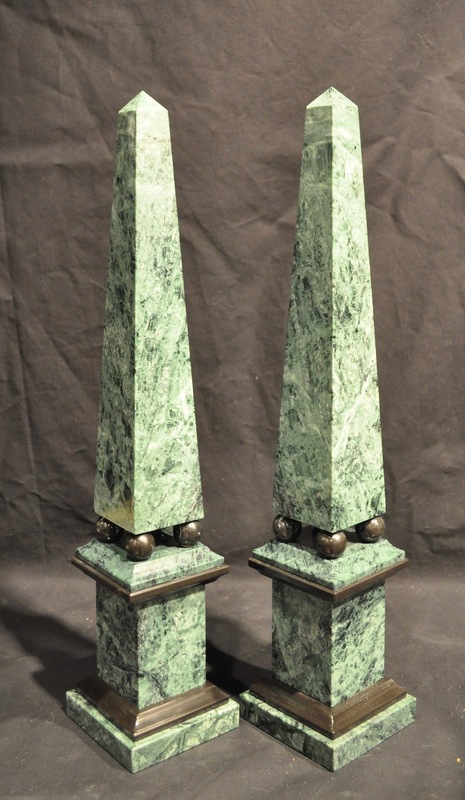 OnlyObelisks worked with an Italian maker to design these deep Green Guatemala marble obelisks with jet black marble ball & plinth accents. 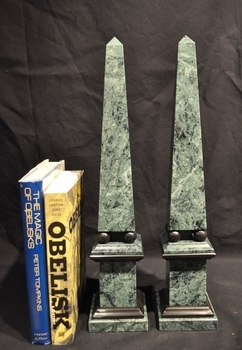 This Green Guatemala marble is a rich deep green and the jet black marble accents enhance the design. 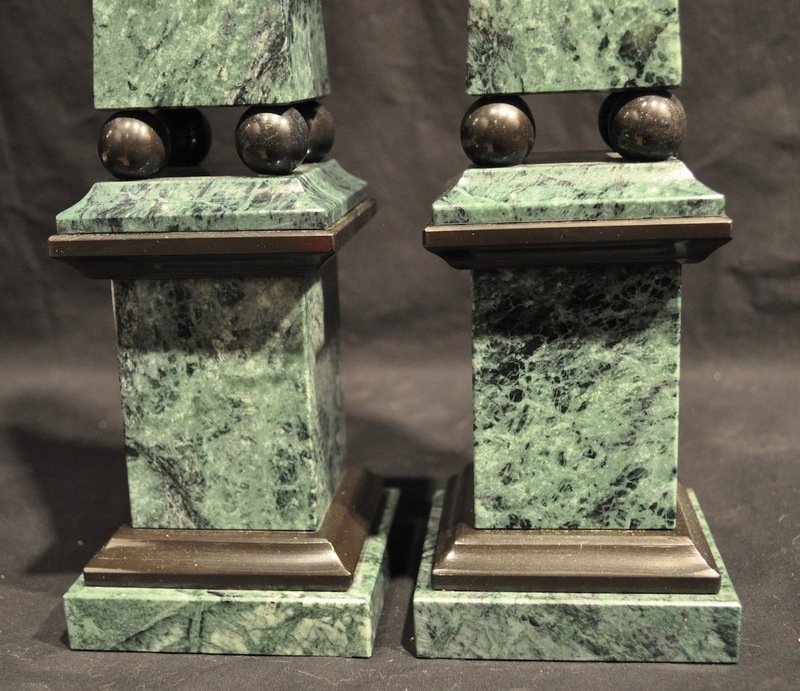 They are smart and masculine, and they would look very chic in a library or living room.